DENVER — Nathan MacKinnon scored twice in the first period and set up newly signed rookie Cale Makar’s first NHL goal in his debut as the Colorado Avalanche routed the Calgary Flames 6-2 on Monday night to take a 2-1 lead in their first-round playoff series. MacKinnon had two power-play goals. 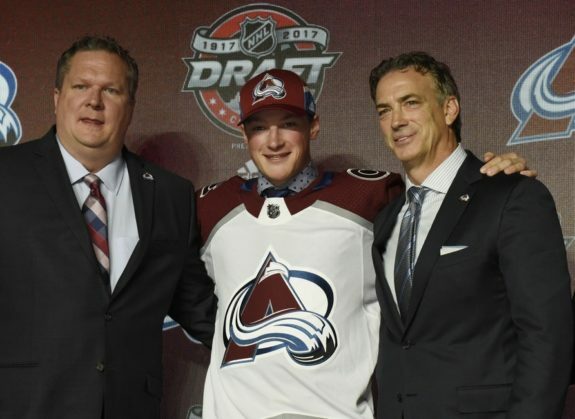 But the goal of the night was turned in by Makar, the 20-year-old defenceman who was signed Sunday and jumped into Colorado’s post-season lineup two days after his college season ended when Massachusetts lost in the Frozen Four championship game. Still, it might be MacKinnon’s pass that is best remembered. He set up Makar at 16:02 of the first period. The NHL communications department said on Twitter that Makar became the seventh player in NHL history and first defenceman to make his debut in the Stanley Cup playoffs and score a goal.